Chelsea ace Tammy Abraham is reportedly set to be targeted by RB Leipizig this summer, with a £20m bid touted from the Bundesliga outfit. The 21-year-old has been in fine form this season, scoring 21 goals in 31 appearances during his loan spell with Aston Villa. As he continues to try and spearhead their pursuit of promotion to the Premier League, speculation over his future remains rife as links continue to emerge with interested parties. According to The Sun, RB Leipzig could be preparing a £20m raid for the talented youngster, although Wolverhampton Wanderers are also specifically named as possible competition. Nevertheless, it will be a concern for Chelsea fans, as they had to deal with ongoing reports of Bayern Munich chasing Callum Hudson-Odoi in January, as noted by Sky Sports, who claimed a bid of up to £35m was made and rejected. Further, it was suggested that the winger handed in a transfer request, thus raising serious question marks over whether or not he’ll stay in west London beyond this summer. Particularly with their transfer ban in mind, the Blues would arguably be sensible in relying on some of their younger stars in the more immediate future to help them continue to compete on multiple fronts next season. 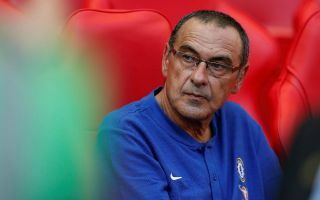 Time will tell if they can successfully launch an appeal against that ban, but either way, both Abraham and Hudson-Odoi have shown enough to suggest that they can make a positive impact at Stamford Bridge. In order for them to do that though, Chelsea will have to show faith and belief in them by fending off these reported bids and interest from Germany, with the Bundesliga sides seemingly trying to take inspiration from Borussia Dortmund’s success with Jadon Sancho and swooping for a young English talent of their own.